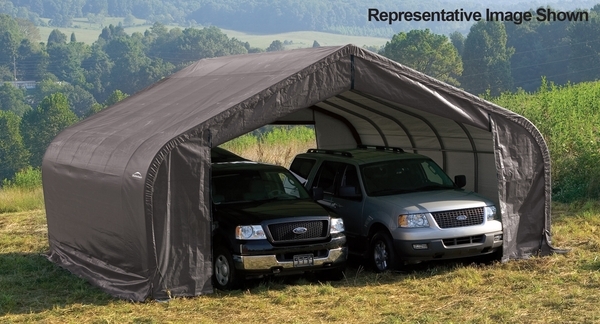 Storing cars, trucks, tractors, boats and other outdoor equipment is a snap with this Peak-Style Portable Shelter. The shelter is made by Shelter Logic, one of the leading manufacturer of portable shelters in the industry. This shelter features a one year limited warranty. 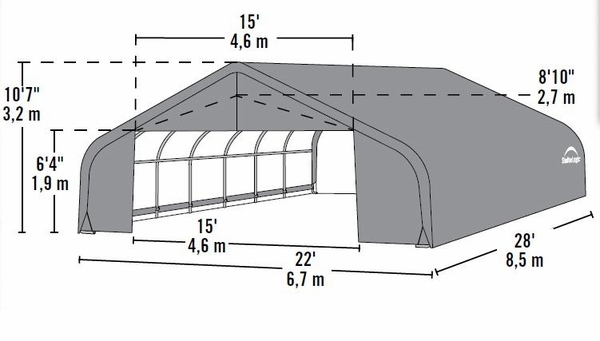 The approximate Dimensions of theis portable shelter are 22 feet wide x 28 feet long x 11 feet high. The cover is a very tough polyethylene fabric that is impervious to water and is naturally resistant to mold and mildew.